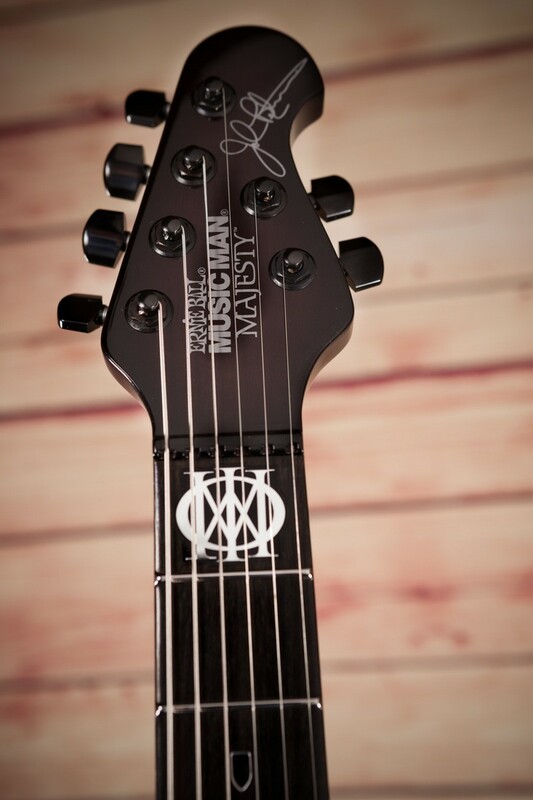 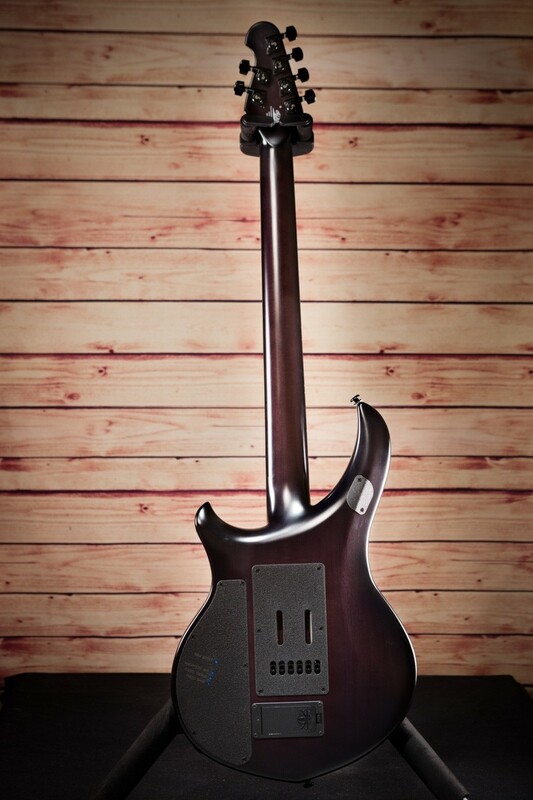 Ernie Ball Music Man Majesty Monarchy 6-String "Black Knight" John Petrucci signature guitar. 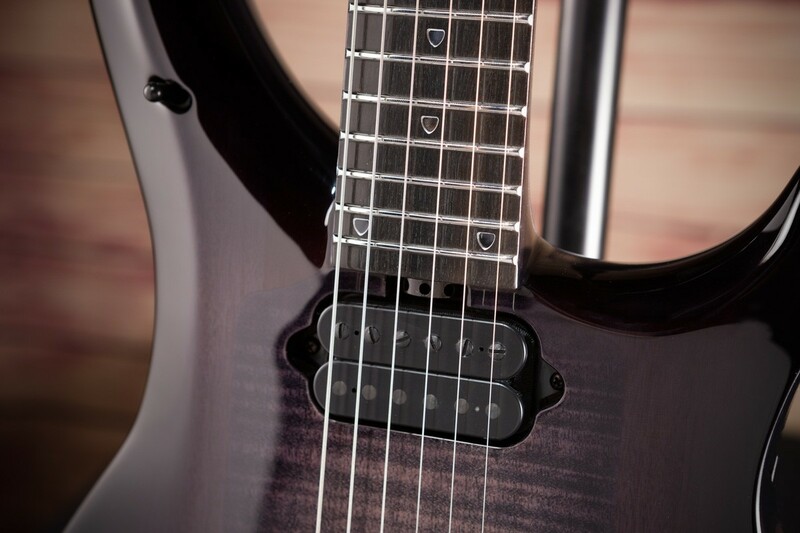 The Monarchy features an Ebony fingerboard, Stainless Steel frets, Matte Black Hardware, Neck-Thru construction, Flamed Maple shield, Piezo bridge, African Mahogany, Matching Headstock, and so much more! 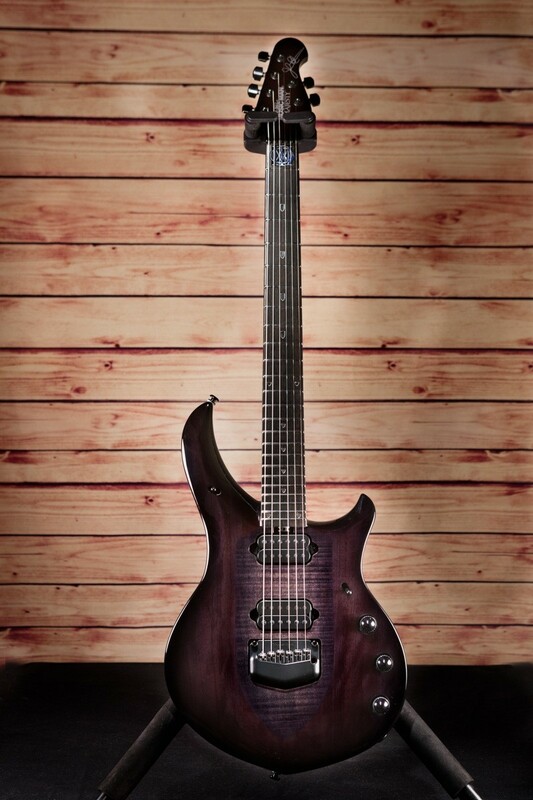 Ernie Ball Music Man Majesty Monarchy 6-String "Black Knight" John Petrucci signature guitar. 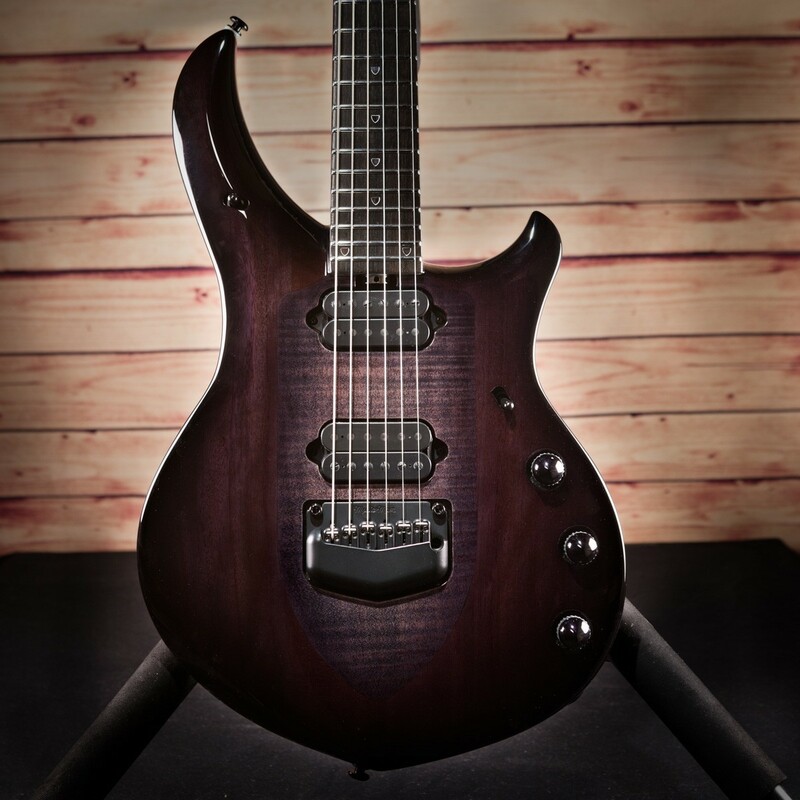 New for 2017, the Monarchy features an Ebony fingerboard, Stainless Steel frets, Matte Black Hardware, Neck-Thru construction, Flamed Maple shield, Piezo bridge, African Mahogany, Matching Headstock, and so much more!